Two-digit numbers represent tens and ones. 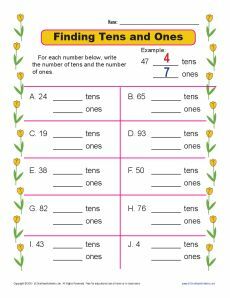 This worksheet asks your student to tell how many of each place the numbers represent. It's great practice for 1st grade Common Core Standards for Number & Operations in Base Ten. It may also be useful for other students.